Can retired Gen. John Kelly bring order to a chaotic White House? With John Kelly now serving as White House chief of staff, President Trump is hoping that the retired Marine Corps general brings some order and discipline to his West Wing. Kelly appeared to already hit the ground running by asking Mr. Trump on Monday to remove Anthony Scaramucci as White House communications director. A statement from press secretary Sarah Huckabee Sanders said that, "Mr. Scaramucci felt it was best to give Chief of Staff John Kelly a clean slate and the ability to build his own team." The White House had been embroiled in internal warfare for months, which culminated with a series of staff changes over the last week and a half. First, Scaramucci was picked to be communications director on July 21, then Sean Spicer resigned as press secretary and then Reince Priebus announced Friday that he had resigned as chief of staff, largely considered the most critical advisory role in the White House. On Monday, Scaramucci himself was shown the door. Priebus, the former chairman of the Republican National Committee, had become an afterthought in a White House run by a slew of strong personalities and his power was steadily in decline, CBS News' Major Garrett reports. On Friday evening, the president announced on Twitter that he had named Kelly, who up until now ran the Department of Homeland Security, to replace Priebus. Kelly was formally sworn into the position on Monday morning. Every White House has treated the chief of staff role differently, but the person is generally supposed to be a gateway to the president. It's unclear how much control Priebus really had over other advisers to Mr. Trump. "Almost everything went wrong," said Chris Whipple, author of "The Gatekeepers: How the White House Chiefs of Staff Define Every Presidency" on "CBS This Morning" on Saturday. "Donald Trump did not understand, as all of his predecessors eventually find out, that you cannot govern without empowering a White House chief of staff as first among equals to execute your agenda and to tell you what you don't want to hear." In a primetime interview Friday with Fox News' Sean Hannity, Priebus said, "I think General Kelly, given the tools, making sure that he is the chief of staff and he's in charge, he's in charge of hiring, firing, everyone reports to General Kelly -- I think it's a good formula. That's how he will be successful." The White House confirmed that reporting structure on Monday. "All staff will report to [Kelly]," Sanders told reporters at the daily briefing. "The president has given full authority to Gen. Kelly." Steve Bannon, the White House's chief strategist, was originally viewed as an "equal partner" with Priebus, and it's unclear if that situation has changed with Kelly in charge. Ivanka Trump, the president's daughter and adviser to the president, posted a photo on Instagram Monday, noting that she looks forward to serving "alongside" Kelly. Looking forward to serving alongside John Kelly as we work for the American people. General Kelly is a true American hero, and his leadership and love of country are second to none. Kellyanny Conway, counselor to the president, was asked in an interview on Fox News Friday whether everyone will still have the same access to Mr. Trump or if they will go through Kelly. "Well that's just a pecking order question," she said. "I think it's beside the point and here's why: We all serve the President and this country. And in doing so, the president and his new chief of staff will decide what the right organizational structure and protocols are." The disorganization that has consumed the first six months of the Trump administration is reminiscent of Gerald Ford's White House, said Whipple, who said senior aides at the time would often come and out from the Oval Office and no one was empowered as "first among equals." "It was a disaster and that's very much like the Trump model that we're seeing now," he said. Office of Management and Budget Director Mick Mulvaney said on CNN's "State of the Union" Sunday that he reports to the chief of staff. "I answer to the chief of staff. And I will continue to do that. The Office of Management and Budget actually reports directly to the chief of staff," he said. "Obviously, we answer to the president, as everybody does in the West Wing. But, as far as I know, my reporting doesn't change, nor do I have any reason for it to change." Every administration has grappled with how to organize the hierarchy in staff at the White House. President Nixon, for example, first named H.R. Haldeman as his chief of staff, who played a strong role in the White House and controlled access to the Oval Office. "Every president needs a son of a b****, and I'm Nixon's," Haldeman once said. President Reagan, meanwhile, delegated power among three people who became known as the Troika: James Baker as chief of staff, Michael Deaver as deputy chief of staff and Edwin Meese as counselor to the president, according to CQ Press Guide to The Presidency and the Executive Branch by Michael Nelson. "Meese served as Reagan's political conscience, keeping him true to his conservative policy goals in domestic policy. Baker focused on legislative issues and foreign policy, and Deaver managed the day-to-day operations of the White House," Nelson wrote in his book. President Clinton, meanwhile, had a much more nonhierarchical system with a weak chief of staff at first, Nelson wrote, with his wife, Hillary, as the de facto chief of staff. Then a year and a half into his first term, Clinton tapped Leon Panetta to serve in that role, who Whipple told CBS was one of the two best chiefs of staff in history. 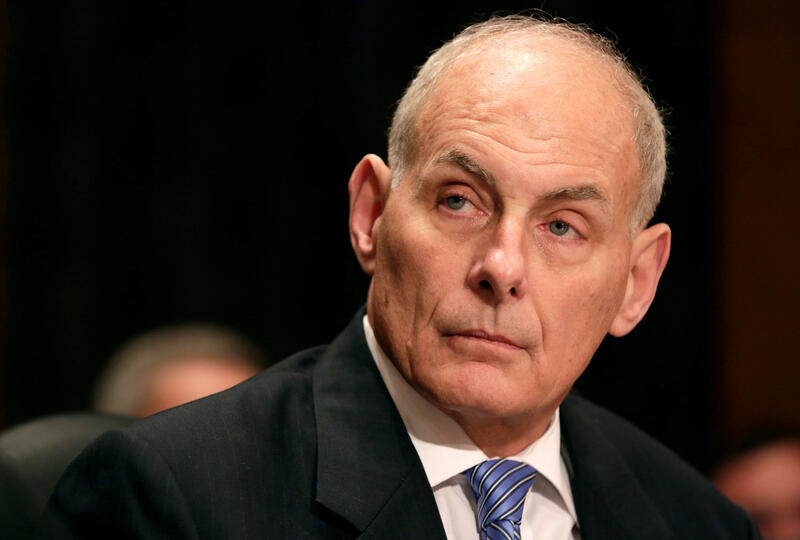 Kelly, for his part, spent most of his career in the military, serving most recently as commander of U.S. Southern Command in the Obama administration. While his military discipline could come in handy, he doesn't have the same kind of relationships Priebus had to lawmakers on Capitol Hill, which could make achieving the president's agenda even more challenging. In order to be successful, Whipple said he wonders if Kelly set any ground rules when taking the jobs. "I'm curious about whether he set any conditions because if he didn't then he's really in trouble and so is the Trump White House," he said. CBS News' Jillian Hughes, Mark Knoller and Major Garrett contributed to this report.